This post is the fourth and final in a short series I’m be doing this month on the blog called “A Baker’s Dozen.” Each week, I’ll share a post with 13 (get it?) tips, tricks and/or tools to help you become a better baker (though I think you’re pretty great already). 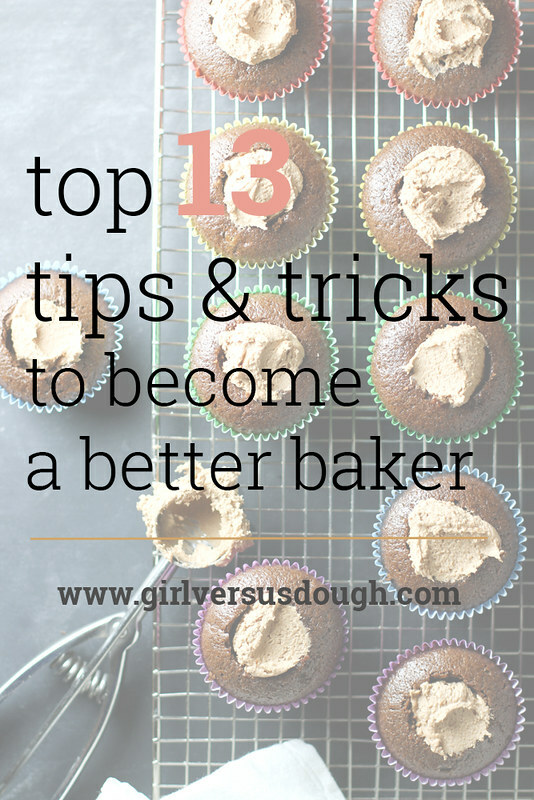 Today’s post: Top 13 baking tips and tricks (from the best of the best) to help you become a better baker. This is my last post in this series and, frankly, I’m a little sad about it. It’s been fun chatting with you about all things baking! And I hope you’ve had fun, too. But, all good things must come to an end (though maybe I’ll keep this series running with a post every now and then? Mysteries…) and I’m ending this one on a high note. Because while I might know a few things about baking from my own trials and tribulations in the kitchen throughout the years, the interwebs knows EVERYTHING. And even more specifically, bloggers know a ton about baking. So I’ve rounded up a few baking tips and tricks that I’ve found/bookmarked/have memorized like the back of my hand at this point that I think you’ll find incredibly helpful, too. 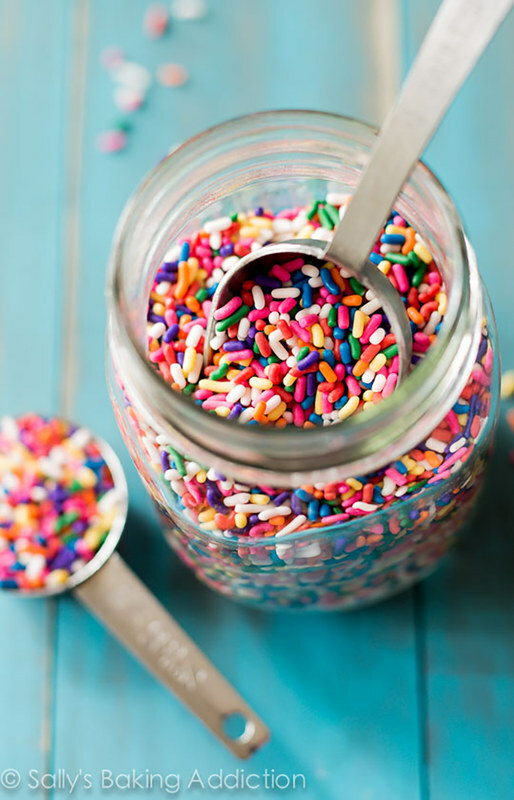 Plus, there are photos of cupcakes and cookies and sprinkles below, so let’s get to it! 1. Cooling Butter to Room Temp from The Fauxmartha: Why patience is a virtue even in baking (P.S. 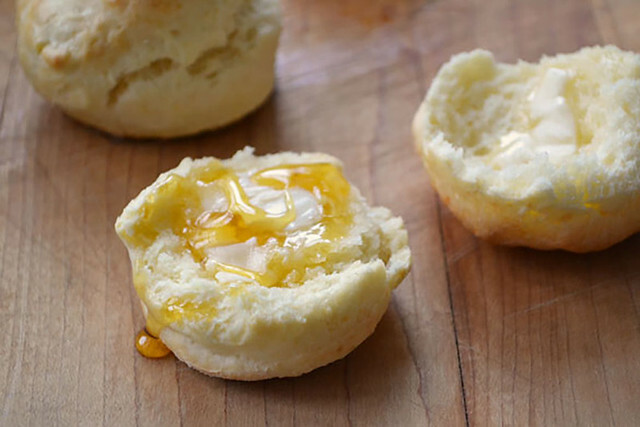 read all of Melissa’s tips to become a baking rockstar). 2. 100 Best Baking Tips and Tricks from A Spicy Perspective: I mean, this really is just about everything you need to know, ever, so we could stop right here. But there are photos of cookies below, so let’s keep going. 3. Proper Cake Pan Prep from Chattavore: Because lining a cake pan used to be MY LEAST FAVORITE and now it’s actually fun (because it’s like arts and crafts!). 4. Top 10 Baking Tips from Sally’s Baking Addiction: Tips on what the perfect softened butter looks like, why room temperature ingredients are important (fave quote: “recipes don’t just do that for fun,” LOLZ) and why you should keep your oven door closed while baking. 5. Types of Sugar from My Baking Addiction: There are so many different kinds, and each has a different purpose. This breaks it all down. 6. Different Uses for Different Types of Flour from Life Made Sweet: With a CHEAT CHART. I love charts like I love cookies (and you know how much I love cookies). 7. How to Melt Chocolate from Not Enough Cinnamon: Marie shows you the microwave and double-boiler method, with step-by-step photos. 8. How to Knead Bread Dough from The Kitchn: Because sometimes a video on how to knead bread helps you learn better and it’s just plain relaxing to watch. 9. 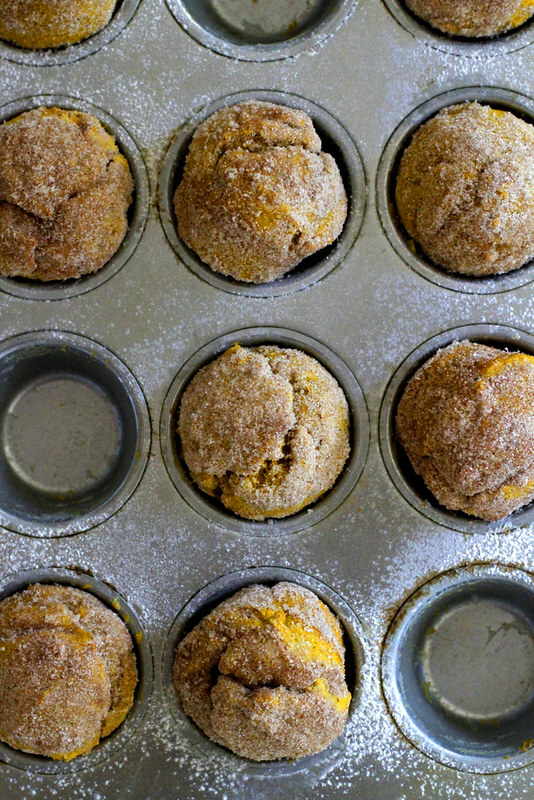 Healthy Baking Substitutions from Your Cup of Cake: Lizzy provides tips for how to substitute healthier ingredients in your baking for flour, butter, eggs and sugar. 10. Thoughts on Butter from Dinner with Julie: What the difference is between salted and unsalted butter for baking (also, she thinks about butter on Saturday nights like I do? Soul sister!). 11. Natural vs. Dutch-Processed Cocoa Powder from Joy the Baker: Make sure you’re eating chocolate when you read this post all about chocolate. 12. 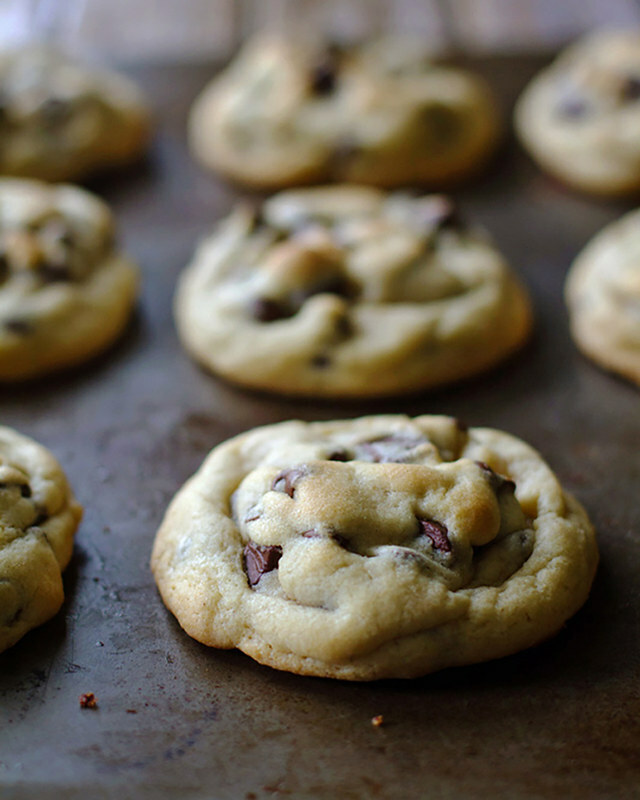 Tips for Perfect Chocolate Chip Cookies from Pinch of Yum: My gal pal Lindsay knows her way around a chocolate chip cookie, and this post is proof (my fave tip: Use two kinds of chocolate chips. “At least two, possibly ten,” she writes. OK YES). 13. 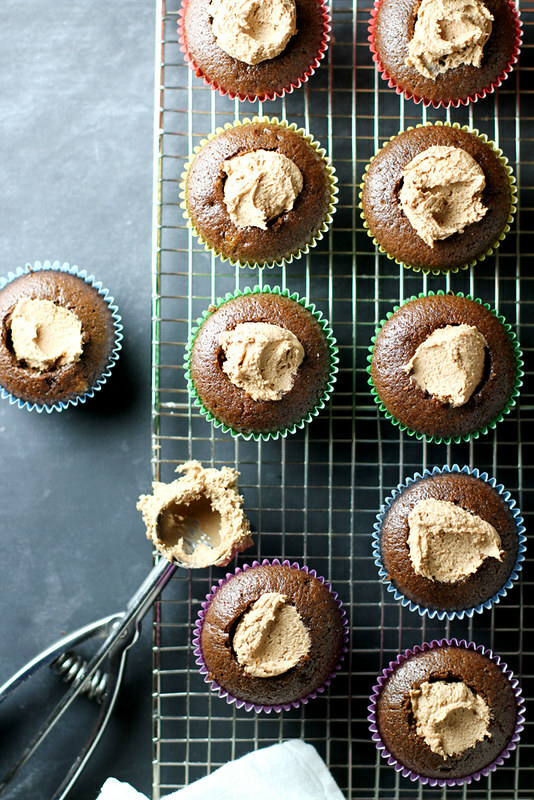 Baking Tips & Tricks from Girl Versus Dough (hey, that’s me! ): I am by no means including myself in the “best of the best” category here, but these tips and tricks are what I’ve learned in my time as a baker and I like to share them (as a cautionary tale, perhaps). 14. BONUS TIP! Actually less of a tip and more of a shameless plug for my eCookbook. But it kind of fits in because my eBook, “Quick Bread Love,” includes a list of tips for baking bliss when it comes to quick breads, muffins, scones, biscuits, etc. Check it out here. P.S. Want more of this series? Check out my post on my top 13 tips for organizing baking supplies, top 13 essential baking ingredients, top 13 essential baking tools and top 13 baking tips and tricks. I definitely learned how to knead bread dough with that video from The Kitchn!! 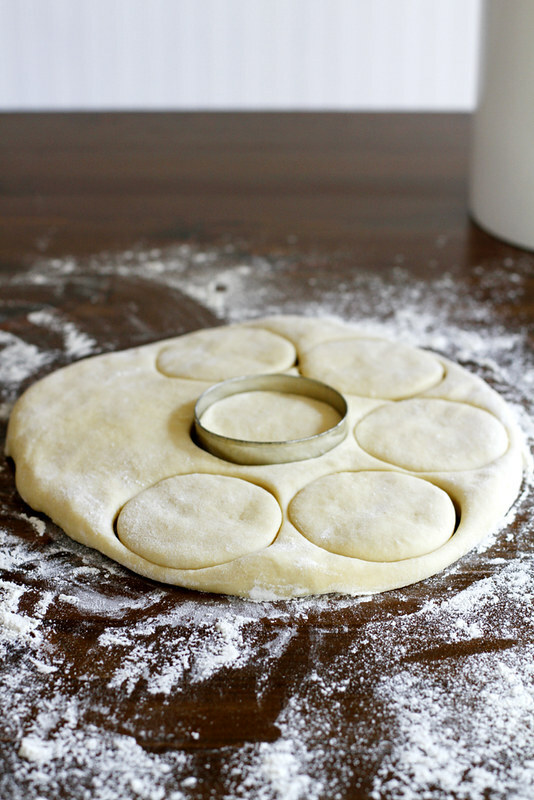 These are such great tips, I’m going to put the cake pan prep tips to good use!! You are so generous! Thank you. I’ve been baking for years and was thrilled to learn how much I still have to learn. Erica — Isn’t it the best video ever?? Thanks for the comment, dear! Tracey — I feel like there’s always something new to learn! Thank you! Sally — Lol! 😉 Can’t wait to read the post and learn all the things! Mary — Thank you! Your tips are so helpful! Hi Steph! I’m loving all your posts! I really appreciate all these baking resources that you’ve shared! Thank you so much and keep ’em coming!